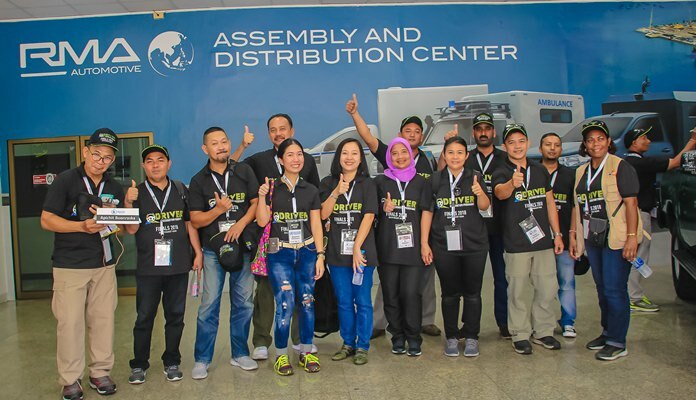 Participants of the ten humanitarian-assistance organizations give the thumbs up during the DRP Finals 2018. 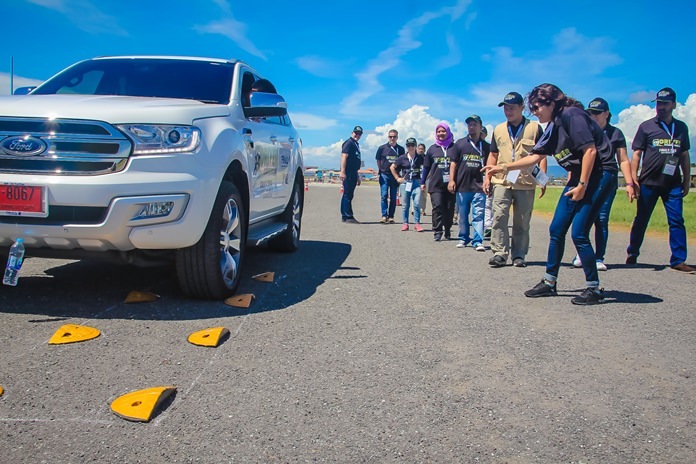 The first ever Driver Recognition Programme Southeast Asia, a road safety competition to recognise the pivotal role of humanitarian drivers, was held on 29-30 June 2018 at RMA Automotive Assembly and Distribution Center in Laem Chabang. 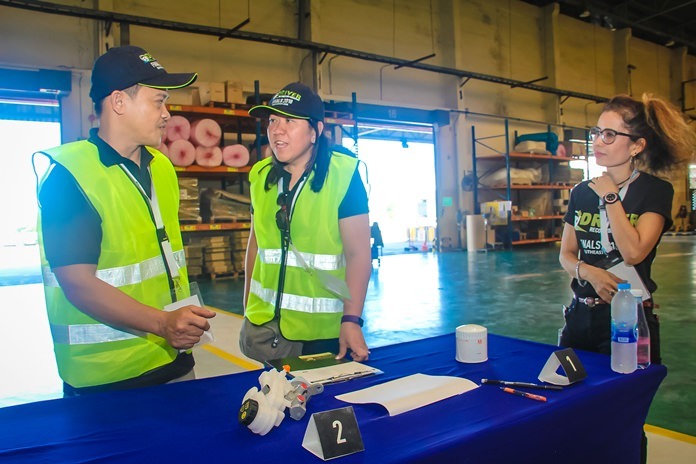 Key Sales and Marketing account manager Ratchaphon Sirayobhas and staff welcomed EFP Nepal, Catholic Relief Service (CRS), Mercy Corps, Save The Children, WFP Thailand, UNICEF, WHO, World Bank, World Food Programme (WFP) Indonesia and UNFPA to RMA Automotive Assembly Distribution Center (ADC) to the Laem Chabang Industrial Park on June 30 when the finals were held. 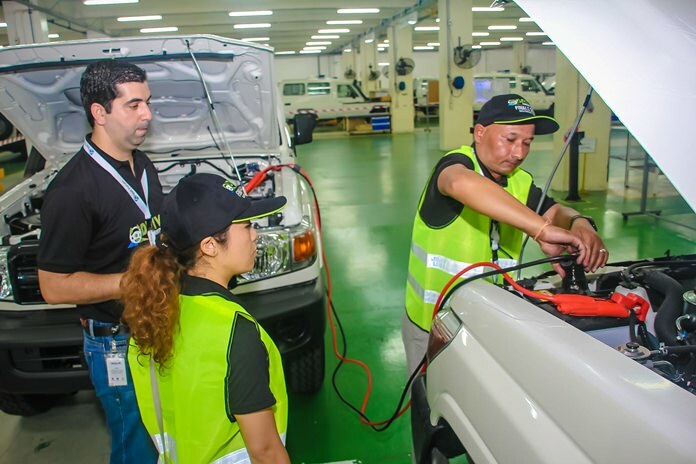 Activities kicked off in the morning in the industry hall at the ADC with inspections of vehicles and motor standards, a 30-minute written test on the knowledge of the 40 basics of using a vehicle, changing tires, sharing experiences with different accessories, test drives and more. Experts observed and gave points for each team that moved from one station to another. 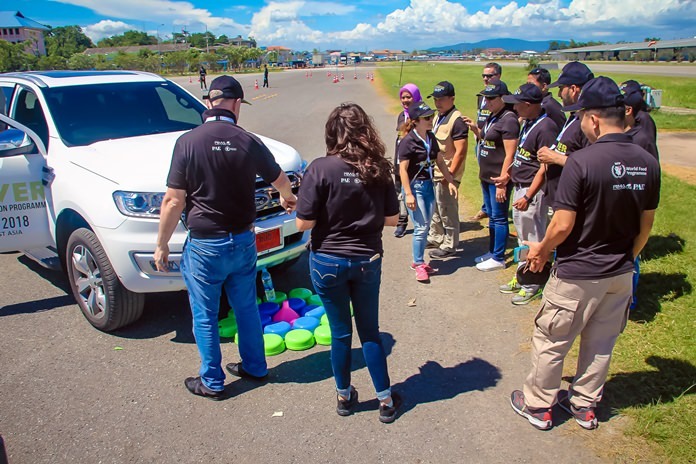 The afternoon activities were held at the Sriracha Airfield focusing on the physics aspect of safety. 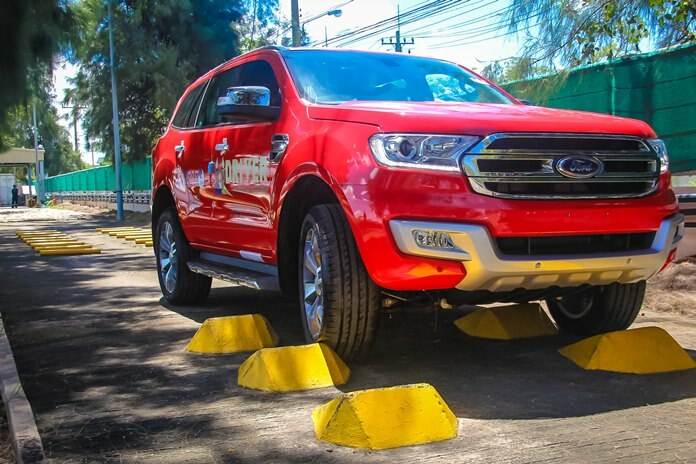 These included brake testing, test runs, driving safety, lane changing, gymkhana driving, parallel parking and ways to prevent accidents thus reducing the number of accidents to zero. 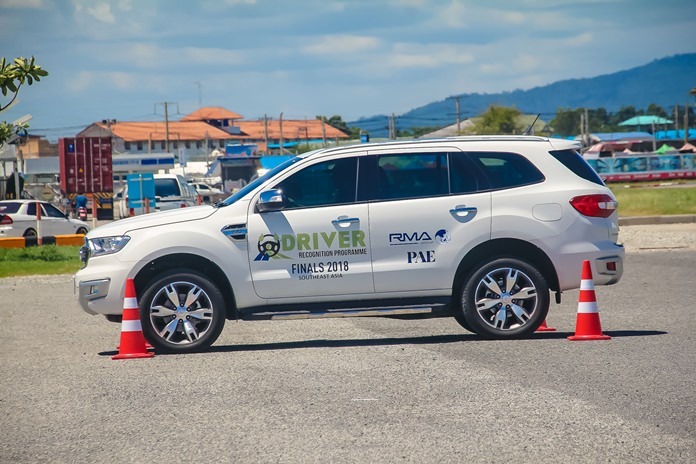 All the teams put in a tremendous effort thus receiving top scores in the test-driving exercises. 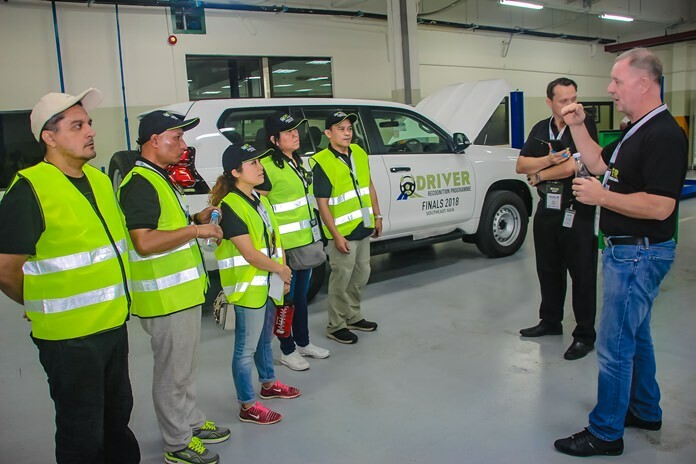 Driver Recognition Programs or DRP are focused on engaging, educating and inspiring drivers to reduce road traffic accidents, improve automotive fuel efficiency ensure a healthy working environment, increase service levels to programs, improve driver health and increase driver engagement. 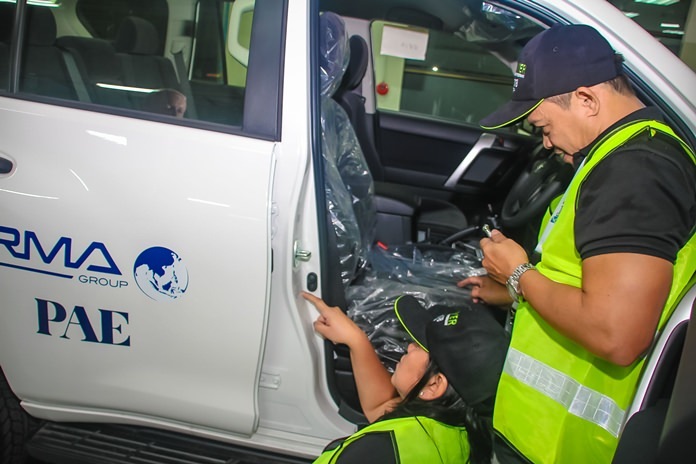 The program also aims to improve data collection on driver performance, engage, educate and inspire staff members of aid and development agencies worldwide, as well as beneficiaries, suppliers and subcontractors, to play a role in supporting and helping to achieve the broader mandate of the organizations. 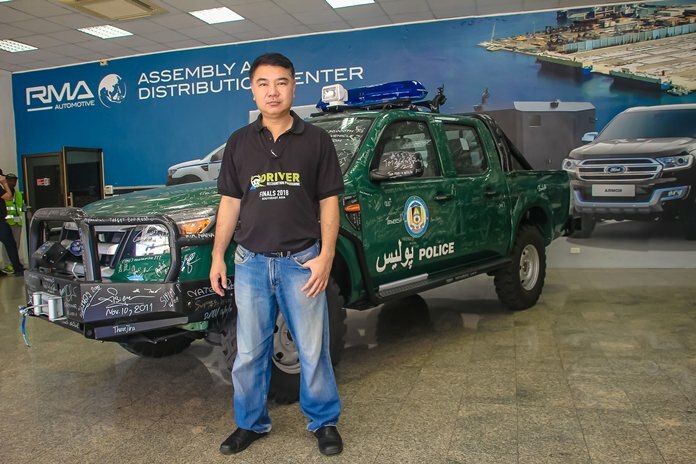 RMA Automotive is a world-class producer of specialized vehicles used for humanitarian aid, emergency response, industrial and security situations. 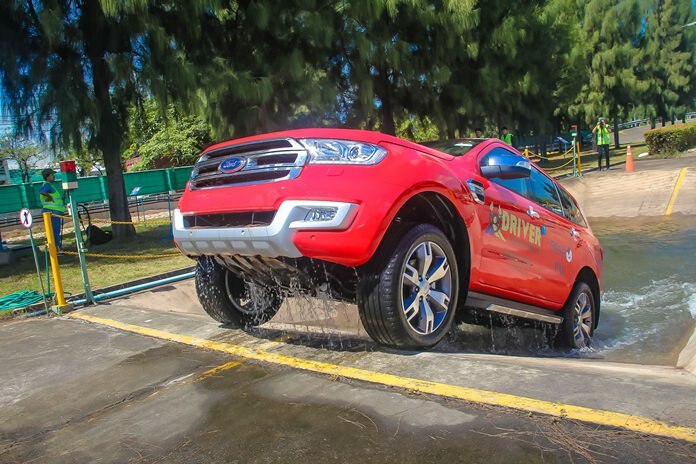 An expert demonstrates how to drive in rough terrain. 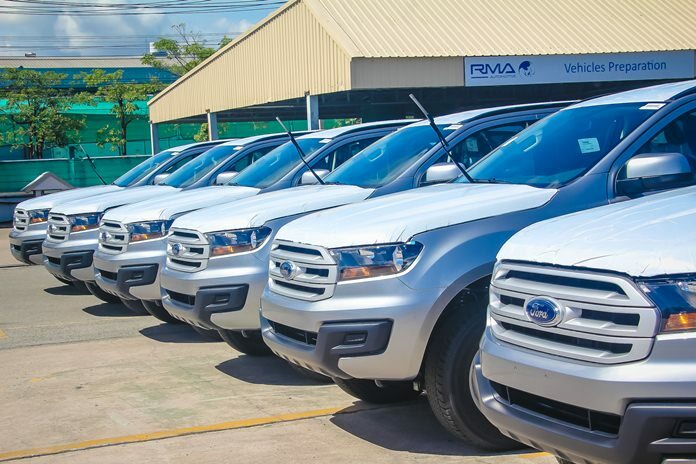 As a distributor of leading brands including Ford, Jaguar, Land Rover, Mazda and others, RMA provides extensive retail sales, parts distribution and aftersales service networks. 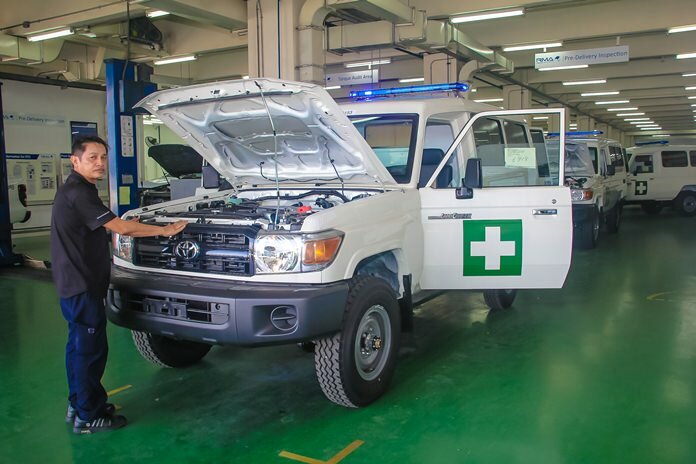 The Laem Chabang site also houses the RMA Academy, an industry-leading training and personal development solutions provider. 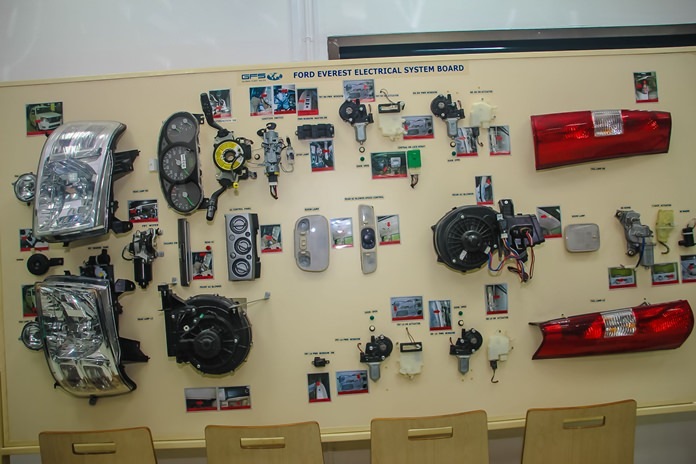 It works with RMA’s automotive and equipment divisions serving customers across the globe to enhance important operational skills. 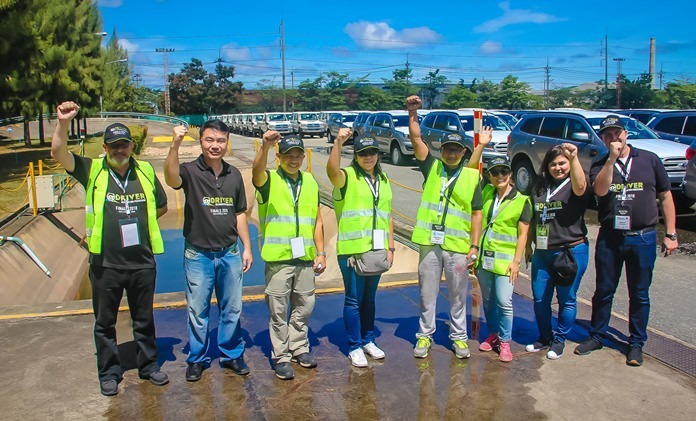 The overall winner of the program was the Catholic Relief Service (CRS) from the Philippines. The farewell dinner and prizes presentations were held at the Mercure Hotel Pattaya.